Each year the University of Southampton hires and trains an incredible group of students to get in touch with alumni like you. 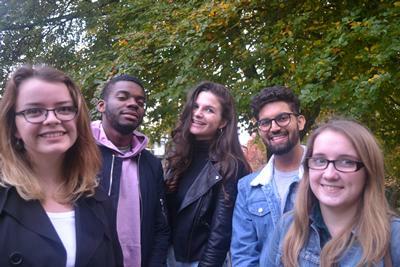 Our Student Engagement Team comprises a dedicated group of students from across all academic areas of the University, all of whom are passionate about engaging alumni like you with the many ways you can stay involved with your University. These include opportunities such as attending events, volunteering or donating to support various University-wide projects in our three key priority areas: student hardship, student experience and research and innovation. During the next few weeks, you may therefore receive a call from one of our brilliant students. They will be keen to speak to you about your time at Southampton and what you’ve gone on to do since graduating. They will also be interested to understand more about you, and use this information to let you know the most relevant opportunities available for you to give back to the University. Our students are trained in how to process donations safely and effectively over the phone.